Good morning everyone and welcome to NFL Draft day. Now I have to admit that I am not the hugest fan of the NFL anymore, both because life got busy and because of the shenanigans that the league continues to not only allow, but also condone, I do admit that this day still means a lot to whole lot of people. With that said, and seeing as this is a baseball blog, I wanted to take a quick look at the ever-growing list of successful NFL quarterbacks that were once drafted by a Major League Baseball team. This is far from a complete list, to be honest, but I did try and include as much of the Yankees-related drafting news that I could as well as hitting the high spots with the actual players themselves. Enjoy! The Colorado Rockies drafted Russell Wilson in the 2010 MLB First Year Players Draft before ultimately losing him to the Seattle Seahawks of the NFL. The Texas Rangers also acquired his services and recently traded him to the New York Yankees who had him in their spring training camp here in 2018. 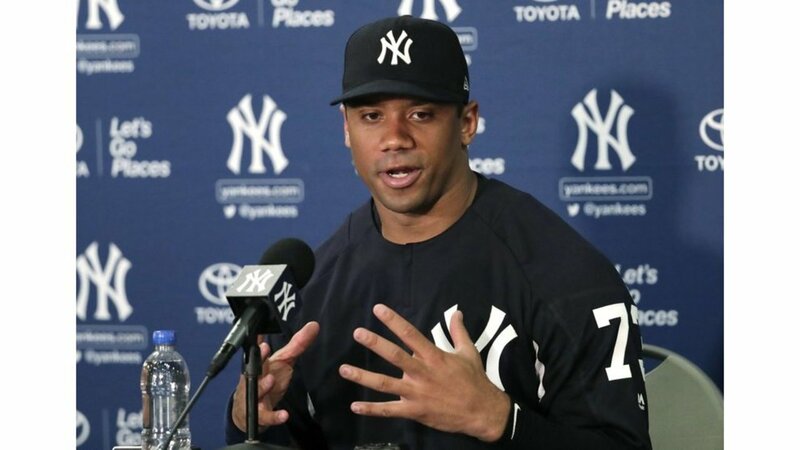 Wilson worked out with the team and even received one at-bat this spring, that at-bat resulted in a strikeout for the successful Super Bowl winning quarterback. The San Diego Padres drafted Johnny Manziel in 2014 before “Johnny Football” went to the Cleveland Browns. Manziel lasted two years with Cleveland before the team ultimately cut him. The Texas Rangers drafted Jameis Winston in 2012 with the promise of all the crab leg buffets that he could eat after every game. Too soon? As a Georgia Tech fan, I would lean towards that answer being a “no.” The whole ACC rivalry thing and all, but maybe it was a low blow. You decide. The Chicago Cubs drafted Colin Kaepernick in the 2009 Draft. You have to wonder what could have been for Kaepernick and the Cubs had he tried to kneel during the national anthem in Chicago, and not in San Francisco. Who knows, another debate for another blog I guess. Jake Locker was drafted twice, once in 2006 and once again in 2009, by the Los Angeles Angels of Anaheim. I guess the Angels really wanted Locker. Matt Moore was also drafted by the Los Angeles Angels of Anaheim, this time in the 2004 MLB Draft. The only Matt Moore I know is the one who used to terrorize the Yankees with the Tampa Bay Rays and now pitches, last I checked, with the Texas Rangers. I assume this isn’t the same one (it isn’t, it is called sarcasm ladies and gentlemen). Matt Cassel was drafted by the Oakland Athletics in 2004 joining Moore in the 2004 QB class. Dennis Dixon was drafted twice out of college, the first time in 2003 by the Cincinnati Reds and again by the Atlanta Braves in 2007. I guess I would have went to play with the Pittsburgh Steelers too if the Reds or Braves drafted me. The New York Yankees took Brandon Weeden in the 2002 Draft. The Yankees traded Weeden, Jeff Weaver and Yhency Brazoban a year later to the Los Angeles Dodgers for Kevin Brown, and the rest, as they say, is history. Weeden never played above High-A Ball and ultimately quit the game after the 2006 season after injuries and a lack of performance began to pile up. The Colorado Rockies drafted Michael Vick in the 2000 MLB Draft with the promise of dog…. Yeah it is still too soon for jokes like that, even for me. The baseball fan in me though would like to see what Vick could do on the basepaths though. Could he be the next Ricky Henderson, speed wise? Brooks Bollinger was drafted in consecutive years, 2000 and 2001, both times by the Los Angeles Dodgers. Chad Hutchinson was drafted twice also by MLB teams, the first time coming in 1995 when the Atlanta Braves drafted him, and the second time coming in 1998 when the St. Louis Cardinals organization called his name during the draft. 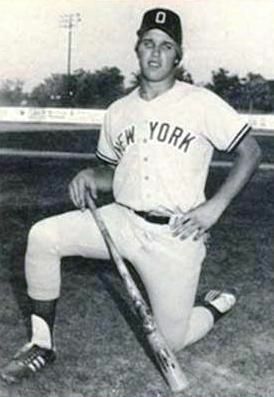 The New York Yankees drafted Drew Henson to be their third baseman of the future in 1998. We all know how that worked out for Henson, both with the Yankees and with the Dallas Cowboys. New York also drafted Daunte Culpepper in the 1995 Draft. The Yankees love their quarterbacks, apparently. Culpepper went on to have a successful career with the Minnesota Vikings after turning the Yankees down. And of course, you cannot have one of these lists without mentioning that the Montreal Expos drafted Tom Brady back in the 1995 MLB First Year Players Draft. I guess some would say that Tom made the right decision going to the Patriots and not to Montreal, which is now the Washington Nationals. A lot of people forget Dan Marino was also drafted into MLB by the Kansas City Royals in 1979. Even though Marino went to Miami I would also call that a great decision for Dan. Not to be outdone though John Elway was drafted not once, but twice by MLB teams including the Kansas City Royals who also drafted Elway in 1979 along with Marino, and the New York Yankees who drafted Elway in 1981. Will the New York Yankees, or any MLB team for that matter, take any future NFL quarterbacks tonight in the NFL Draft? Stay tuned tonight and find out. The Yankees game today is an afternoon contest, so all our attention can turn to the Draft. I can clearly remember when John Elway was briefly in the Yankees organization. Obviously we knew that his stay was temporary but it was fun while it lasted. The Oneonta Yankees. Good times.